TEDx is a non-profit program of local self-organised events that bring people together to share TED-like experiences. TED itself is a non-profit organisation devoted to Ideas Worth Spreading. It started out in 1984 as a conference bringing together people from three worlds: Technology, Entertainment, and Design. Basically it’s a day packed with fantastic speakers from different backgrounds, jobs and often origins, who gather in the same place to give striking eighteen-minute (or less) talks. The events aim to inspire, to spark discussion, to connect, and to – as TED’s slogan goes – spread ideas that are worthy. 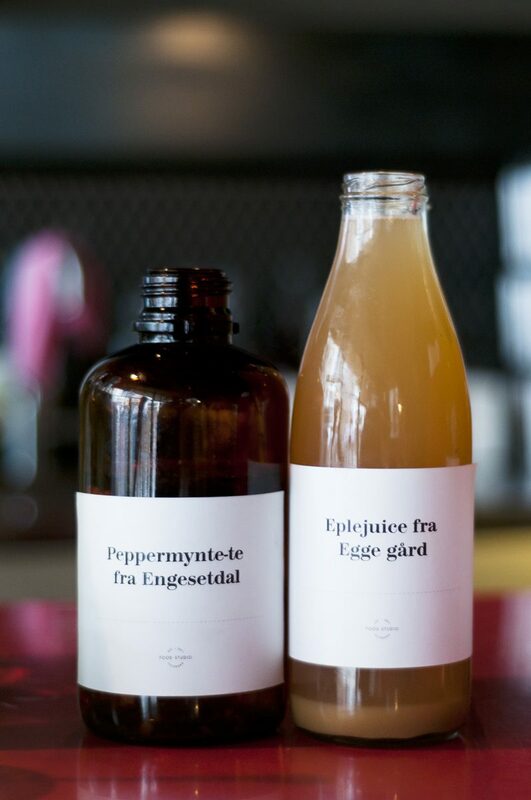 One of the speakers was Jon-Frede Engdahl, an entrepreneur and sustainability firebrand behind two of Norway’s biggest organic success stories: Kolonihagen and 2-Michelin starred restaurant Maaemo. He gave a talk about his projects and the need for conceptual clarity and forcefulness, the importance and benefits of sustainable and organic production, and perhaps most importantly, scarcity as a creative catalyst. This year, TEDxOslo was held in Dansens Hus and Mathallen at Vulkan, where close to 400 participants got together to listen to the speakers selected and invited by the organisers. With the main theme being “Corporate rebels”, the event featured an interesting array of innovators, among whom were an explorer, a musician, and a priest. New ideas were aired, conceptual waters tested and words like potential, opportunity and challenge ruled the day. 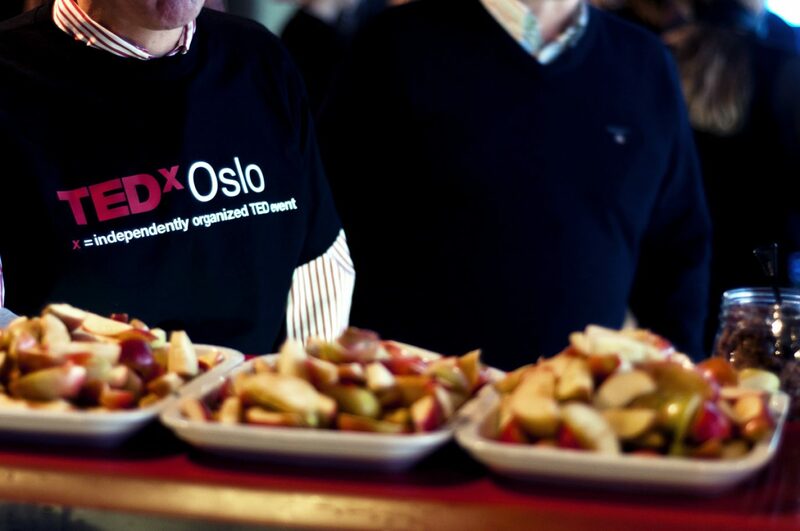 As one of the supporting partners of TEDx Oslo, Food Studio was in charge of welcoming the participants and taking care of them during the breaks, with the collaboration of other great people. 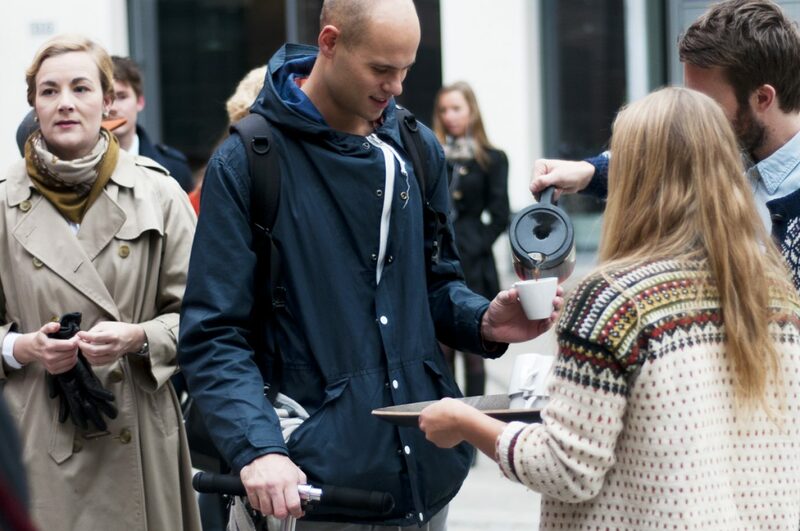 Tim Wendelboe was there to provide coffee. He brought Tekangu, an award-winning Kenyan coffee bursting with fruitiness and acidity. 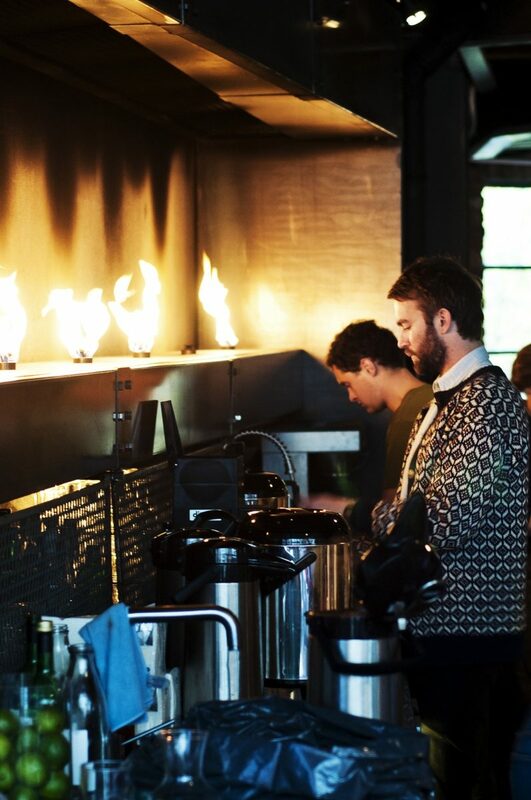 Brewed as a black coffee using ten of Wilfa’s upcoming filter coffee brewer, the Svart Presisjon, Tim and his super-nice team served over 175 litres of coffee – two cups per attendee! The breaks were pleasant energising moments where food and drinks offered were local and fresh. 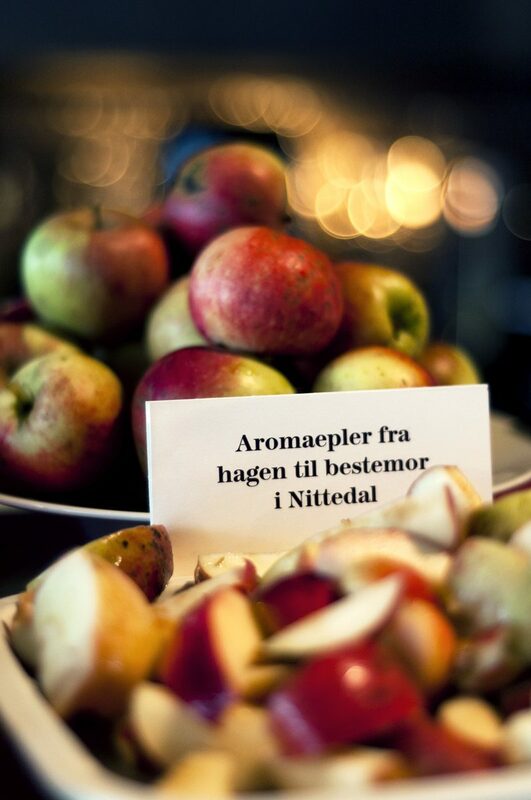 Beautiful, seasonal aroma apples were the natural centrepiece: there were three different types of aroma apples all from the Oslo area – or more specifically from the garden of Food Studio’s Cecilie’s grandmother, from Egge Gård and from Hensenga in Bygdøy, where professor Linda Jolly has one of the lushest biodynamic gardens in the whole country. 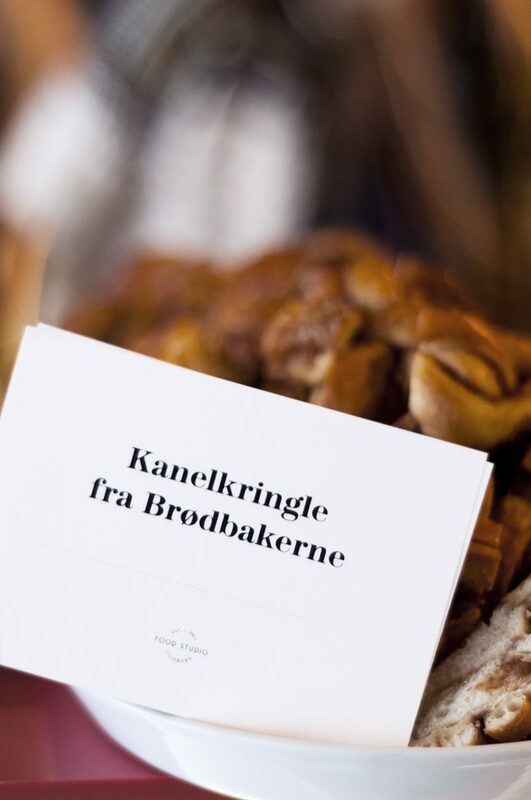 Oslo-based Brødbakerne provided muesli bars, honey roasted nuts and lovingly hand-kneaded cinnamon pastries. 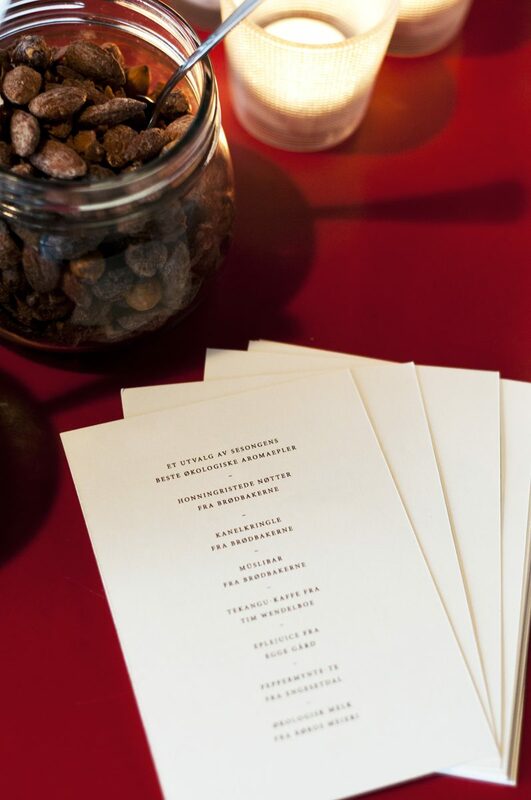 Hello Good Pie and Von Porat, both restaurants in Oslo’s brand new food hall, served the attendees a fantastic lunch and dinner, respectively. 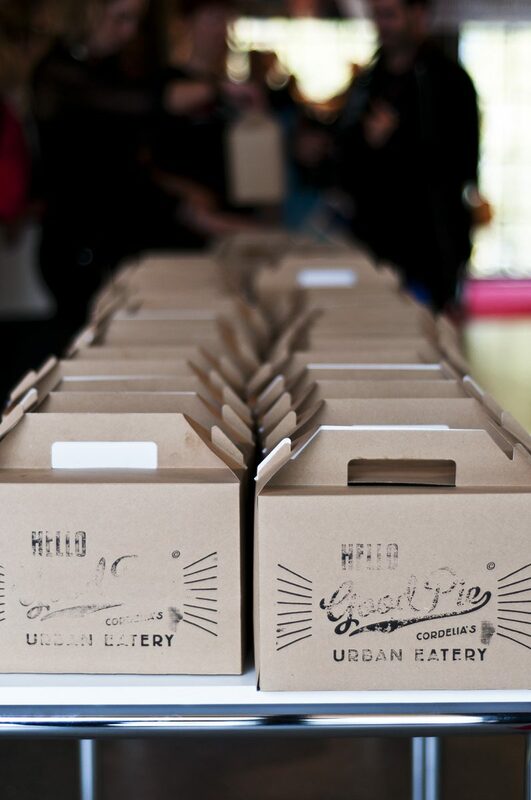 If TEDx is all about sharing, inspiration and creativity, Food Studio and their partners are sure to have played their part – as well as having enjoyed themselves to bits! TEDxOslo 2012 videos are on YouTube.